Don't Feel Like Reading ? Here's A Summary Of The Ryobi Miter Saw Review. This Ryobi miter saw comes with a 100% precise single file laser projection feature for accurate cutting, a 24 toothed carbide tip blade and a bevel adjustable anywhere from 0 to 45 degrees easily. Model P551 is mostly oriented for right handed users and is secured by an official Ryobi 18-Volt ONE+ 3 year warranty. This miter saw is an affordable solution for DIY wood workers and entry-level contractors. Ryobi decided to join the big boys’ league with the release of the all-new Ryobi 18-Volt ONE+ Cordless Miter Saw. Of course, there’s a twist – perhaps you already know about it because of the “cordless” wording. 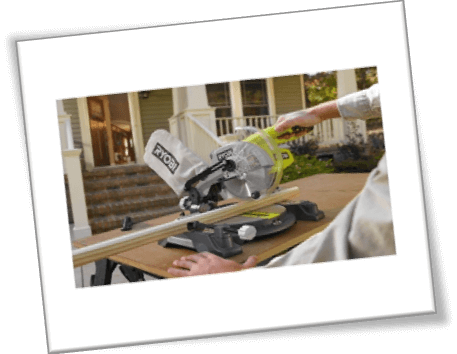 Yep, this is a lightweight Ryobi miter saw that doesn’t require any cords or power outlets to operate! Yayyy, that’s cool, right? Technically, it is a nice change to see a typical miter saw such as Hitachi C12RSH2 going cordless, but there are many limitations in this seemingly perfect equation. Ryobi 18-Volt ONE+ Miter Saw Summed Up! Beyond the striking neon green combination of visual aesthetics and stylized overhaul, Ryobi 18-Volt ONE+ is an entry-level miter saw. The only leverage it gets over competitor miter saws is the portability factor – i.e. it is battery powered, and it is also a lightweight product. Weight wise, the miter saw averages at around 34 Lbs., which makes it super easy to carry around at a work site or outside wherever you prefer to cut your lumber. As far as battery performance is concerned, there is no universal value. I maxed out approx.. 80 to 90 cuts before this Ryobi 18-Volt ONE+ Miter Saw churned out its usual slow grinding sound. Of course, there is the battery life indicator, but while I am working, I hardly look at the remaining charge status. As soon as the blade whirs to a halt or a near halt situation, I know that the miter saw is not working anymore. Side Note: The 90 cuts average was on a single 18V battery. I retried the same test with dual 18V batteries at a cumulative 36 V input. Ryobi averaged at approx. 100 cuts this time. Anyhow, let me reiterate the miter saw’s performance in terms of portable/ chargeable batteries. By default, this Ryobi miter saw operates on an 18 V battery. It is more than enough, but if you are looking to make relentless cuts at above average performance, you can install 2X 18 V batteries in this Ryobi 18-Volt ONE+ model and it will get the job done at twice as much rate. Yes, there is a small caveat to the battery analogy. Ryobi 18-Volt ONE+ Miter Saw comes as a “tool” only product, which means you don’t get any battery with the order. The battery, or the batteries, per say, come as an add-on product that also implies extra expense on the base model. That is a bit of a disappointment, but Ryobi officially stated that they could not include the battery packs as a freebie, or a combo deal with the Ryobi 18-Volt ONE+ Miter Saw because of the overhead manufacturing cost involved in the product itself. To be honest, miter saws operate at a relatively large scale as compared to Ryobi cordless circular saws, which makes sense. I think cutting was made a hell of a lot easier with this miter saw. It does not directly compete against other company models such as the Bosch GCM12SD or the Makita LS1016L, but Ryobi has some perks when seen as an isolated case. For instance, you can get by with joist cuts, biscuit joint cuts, trimming studs and single file cuts on big rafters with convenience. For best results, make sure that you are not using a dense wood type because it will consume more battery juice. In this context, you will definitely see a degraded performance level. But then again, the base model of the Ryobi 18-Volt ONE+ Miter Saw on one full battery charge can effortlessly carve its way through normal 2 x 4 dimension slabs. I was actually surprised to find out that the Amp-Hour performance of the battery is a mere 4! 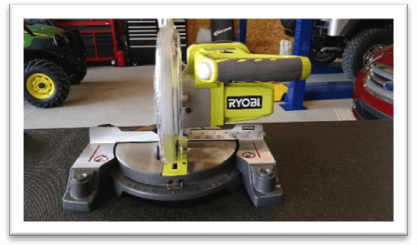 Compare this reading with a 15 Amp corded miter saw from Milwaukee and you will definitely applaud Ryobi for integrating such capabilities in such a compact battery. Yes, before buying this Ryobi miter saw, you should know that the cuts are not accurate. The Ryobi guys slapped the signature “Exact Line Laser” system on this miter saw, but it does not pan out as expected. Part of the reason is that lefties are not able to see that “awesome” laser beam because it is projected on the other side of the wood panel. Righties are on the safe side because they can see where this enhanced laser is falling exactly on the wood panel. Now that this dilemma is out of the way, the precision factor is compromised because the saw just shakes and trembles when you are cutting stuff. Since this is a lightweight power tool, the base weight does not work well in favor of the saw owner. The best and the only way to get accurate cuts out of a Ryobi 18-Volt ONE+ Miter Saw is to use the knob lock system. It only requires a twist to lock the miter gauge at your desired value. You will notice that the saw will misalign after a few cuts, but you can reinstate that same angle reading by locking the knob again in place. This is a bit of a doozy, but you are not supposed to complain because you wanted a cheaper, lighter and a battery powered cordless miter saw! Keep that in mind before posting negative reviews about Ryobi products. The saw’s power to cut also deteriorates over each successive cut. Three is also a hidden issue with the laser switch. When you turn it on to get by with precise cuts, the Ryobi 18-Volt ONE+ Miter Saw will not restart. Every time, you want to stall the miter saw, you will have to turn off the laser light switch, and turn on the miter saw before you switch to that “enhanced laser sight” thing. Fortunately, the Ryobi 18-Volt ONE+ Miter Saw was very easy to set up after initial unboxing. By default, the blade is already attached in place. The safety guard is already hovered over the blade to help newbies avoid accidental injuries. The only thing you need to “screw” is the right side fence. Please bear in mind that the head of this Ryobi miter saw is strapped down in place. As soon as you will cut the strap, the head might bounce back at you if it is not already manually locked. Therefore, make sure that everything right down to the last known plausible safety precaution is in order before you operate the miter saw. This rule applies to all kinds of cutting tools out there. In case you need to change the blade, the easiest way is to remove the batteries first. By doing so, you are making space for the hands to reach in. They have provided a hex wrench to assist users with minor level assembly and disassembly tasks. However, I should impose on the fact that you need to buy a new blade as soon as possible.Sadly, with the cost factor for the Ryobi miter saw kept to a minimal low, the blade also suffers in terms of quality. I expected more from the company in regards to arbor nut and blade quality, but they probably outsourced the manufacturing to an unreliable platform. The good thing is that while doing so, they adhered to the latest standards. As such, Ryobi 18-Volt ONE+ Miter Saw demonstrates a quick snap on / snap off system for safety elbow. There is also an offset handle to help left handed users. 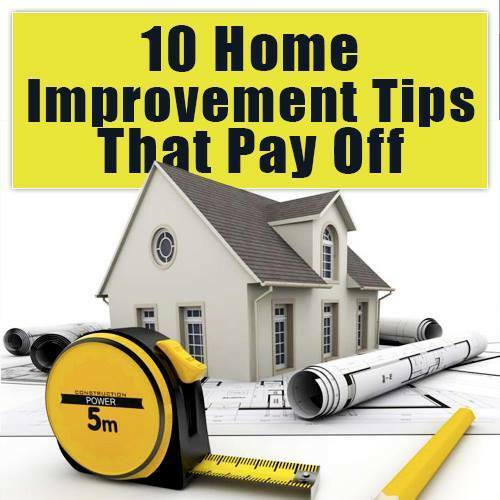 Other perks to follow can be seen as a push pin for keeping the head locked, a knob for keeping the miter scale in place – so on and so forth. 100% precise single file laser projection feature for accurate cutting. Mostly oriented for right handed users. Comes with official Ryobi 18-Volt ONE+ warranty. Ryobi stock blade features 24 toothed carbide tips. Some users argue that the entire blade is made of carbide, but if that were the case, then the price for the entire product would have gone up. Miter and bevel adjustable anywhere from 0 to 45 degrees easily. Lightweight and comes as a cordless tool only unit. Can be combined with another 18 V extra battery for a cumulative 36V output. Lightweight profile takes a toll on head and miter lock system. On a default 18V battery, this cordless miter saw averages between 80 – 90 2 by 4 dimension cuts. Laser projection is barely visible when working outdoors! 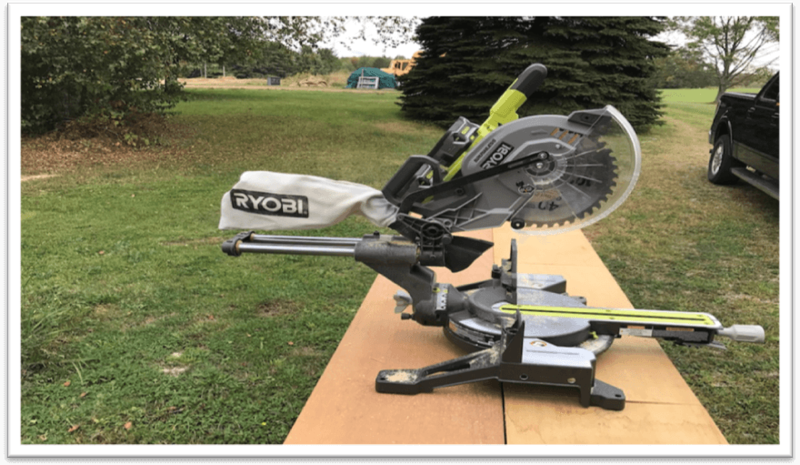 The Ryobi 18-Volt ONE+ Miter Saw is showcased as an affordable solution to complete DIY woodworking ideas and for and entry-level contractors. Since this miter saw is entirely operable without a cord, there’s definitely a benefit to buying it. However, portable power tools, which entirely run on rechargeable batteries, do not churn out the same performance as expected from their corded counterparts like the Dewalt DWS780. Sadly, I do not recommend this Ryobi miter saw to intermediate and professional level wood workers. The fact that it comes as a tool only unit – and that too without at least a basic 18V battery pack, really puts a dent in the deal.